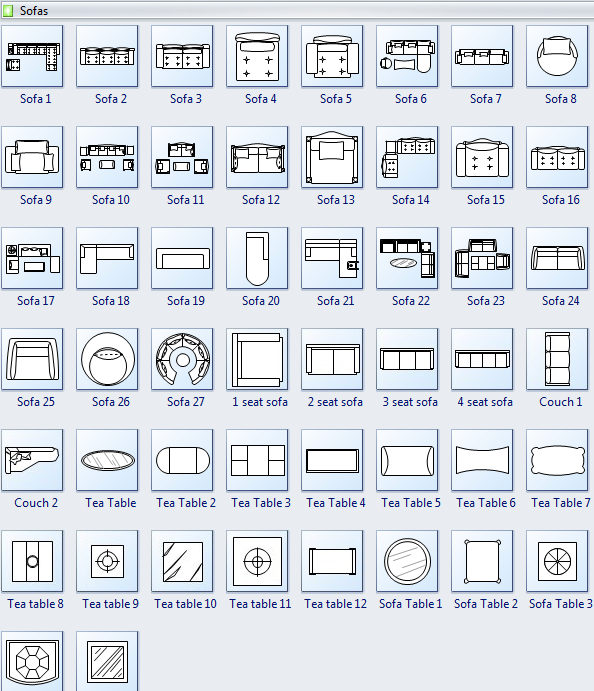 More than 50 sofa vector symbols for floor plan. Give a quick access to a great variety of sofa symbols. Floor plan requires a large pack of symbols to reflect your design idea accurately. Edraw has newly added a set of sofa symbols for floor planning, which is a large pack, ready for different design requirements. You can find a great diversity of sofa designs here, including traditional sofa, sectional sofa, L-shape sofa, loveseats sofa, and lots more. Edraw can be used as a fast and effective floor plan software for creating different kinds of floor plans. It includes thousands of ready-made floor plan symbols that you simply stamp to create your drawing, including appliances, bath kitchen, building core, cabinets, electrical and telecom, furniture, garden accessories, wall, shell and structure, cubicles, office accessories, office equipment, office furniture, planting, wall, door and window. Edraw floor plan software is an all-inclusive floor plan program available for commercial floor plans, office layout, fire and emergency plans, garden plans, kitchen and bathroom designs, HVAC plan, plumbing and piping plan, home wiring plan, wardrobe plan and more. 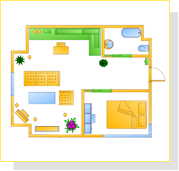 Easy floor plan software with extensive pre-drawn symbols and dragging and dropping simplicity. It requires no drawing skills at all. The built-in sofa symbols are black and white by default. However, you can give them new look by filling colors.